Kindness is still going strong, as recently displayed by a restaurant in Ohio. 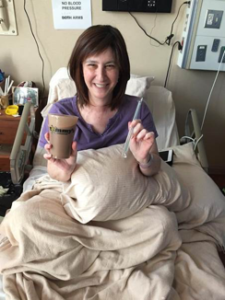 With only a few days left to live, a woman living in Virginia had one final wish— to enjoy her favorite milkshake from Tommy’s Restaurant, back in Cleveland, Ohio where she grew up. A close friend called the owner of the restaurant, Tommy Fello, who figured out a way to ship the mocha milkshake 375 miles. Fello initially wasn’t sure how it could be accomplished. With the help of UPS, they packed the shake in dry ice, shipped it overnight and accomplished the Milkshake Mission. We have all been in both situations when retail shopping; aggressive sales associates coming at you like sharks trying to make their sales commission, or it is a ghost town in the store with no one to be found when you do need help. One retailer might have solved this problem. 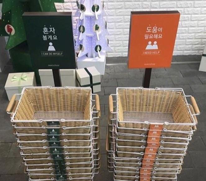 A store in South Korea allows customers to chose whether or not they want to be approached by staff by the color of their shopping basket—a nice Secret Service system. Watch this three-minute video on how I delivered lousy Customer Service in my first job. Have you ever wondered what separates a top performing sales person from the rest of the pack? Steve Nudelberg, the most connected person I have ever met, has figured it out and shares it in his new book, Confessions of a Serial Salesman – 27 Rules for Influencers and Leaders that will change your life and business. Steve is one of the leading experts on sales acceleration through the art of Building Relationships and storytelling to make conversations engaging. The DiJulius Group is excited to announce that Steve Nudelberg once again will be keynoting at the 2017 Secret Service Summit, October 26th & 27th in Cleveland, Ohio.